W.Bro. Mike Dillon was elected president of the Onslow Lodge of Instruction No. 102, with W.Bro. Andrew Vallance taking on the secretary’s role, as well as being a preceptor. 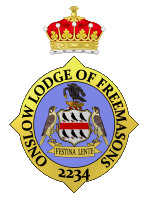 Onslow Lodge was 130 years old on the 24-01-2018, having been consecrated in 1888. The Worshipful Master was pleased to invest two Students into office yesterday. Onslow Lodge was honoured with the presents of four brethren from Ararat Lodge Pat. N76, under the United Grand Lodge of Bulgaria when one of the brethren’s son was initiated into our Lodge. They presented the APGM and our acting W.M. with plaques and books of paintings by a Bulgarian artist. James (18) and Jack (95) the youngest and the oldest mason’s at the installation on January 9th 2018. The grant, which comes from the Masonic Charitable Foundation, is funded by Freemasons and their families across England and Wales. The Lodge Summer Buffet attracted just under fifty people who enjoyed a splendid buffet from Vince Parker and his team of ladies. Onslow Lodge members and their guests were joined by members of Surrey Lodge who partook in the quiz which they won. A raffle raised funds which enabled the event to donate £250 to the Phyllis Tuckwell Hospice and a similar amount to the forthcoming Surrey Provincial Festival. Next year’s event is booked in for Sunday the 22th July 2018. Meanwhile the Lodge’s Christmas Carol Carvery lunch is booked for Sunday 10th December 2017. A group of Surrey residents who find it challenging to communicate because of their profound and multiple learning disabilities are being helped thanks to a £15,000 grant from the Masonic Charitable Foundation. 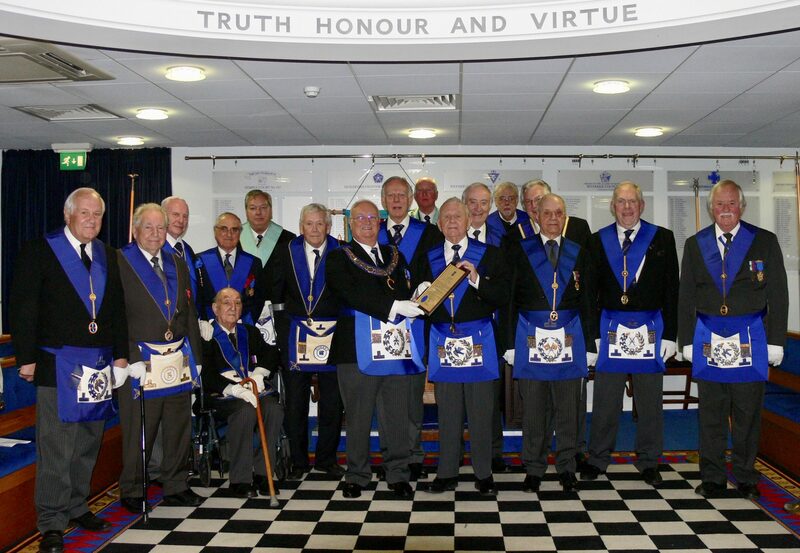 On Wednesday 2th April, Andrew Vallance was invested as Deputy Grand Sword Bearer by the Most Worshipful Grand Master HRH the Duke of Kent KG.